Nike have been getting a bit of stick over the past few months. However, a lot of this criticism has been completely unfounded. Many football fans have voiced their frustration over Nike’s apparent lack of imagination, since a significant number of their new football kits follow a similar template. For example, the ‘speed blur’ pattern on the shoulders has become a staple of their 2018/19 releases, and fans have been very quick to criticise any similarities between designs. But, we’d argue that Nike’s creativity has been just as strong as ever this summer. Most of their new kits have paid homage to the history and heritage of each respective club, adding lovely little personalised details and reinforcing their strong identities in imaginative ways. The result has been a collection of sleek, smart football kits, dripping with modern shirt tech and drawing inspiration from classic designs. 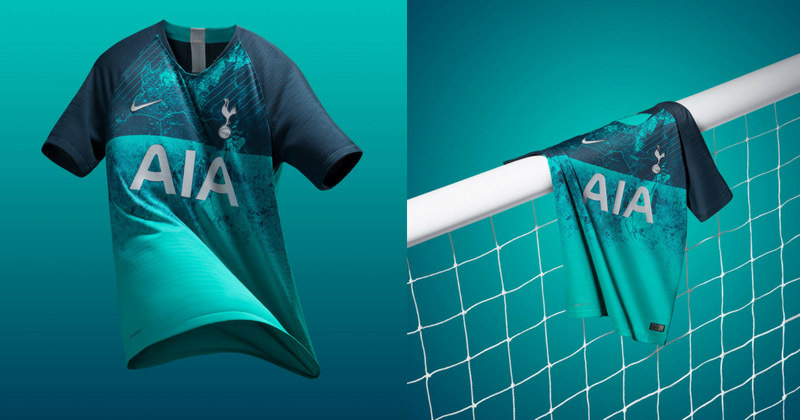 While some of the new strips might seem a little basic on the surface, you only need to look at Tottenham’s new third kit to see that Nike are still right at the top of their game. In short, this is a football kit unlike any other you’re likely to see this season. Much like their record-breaking Nigeria kit, Nike have come up with a fantastically unique design that even Arsenal fans should appreciate. Premier League rivalries aside, we’ve got to say that this is one of our favourite kits of the season. Released just in time for their 2-1 victory over Newcastle last weekend, the new design features a striking turquoise and dark blue colourway, while the sponsors and logos stand out beautifully in white. While the shirt does implement those signature ‘speed blur’ sleeves, the graphic on the front of the shirt makes it wholly unique. Nike have opted for an aerial depiction of Tottenham’s London location, referencing the fact that this is the year they’ll finally be moving into their new home (as long as there aren’t any further delays). In Nike’s own words, this is a football shirt that oozes “territorial pride”, while the greenish-blue colour is inspired by a local brewery that owned part of the land where the new stadium is built. This distinctive shade continues down to the shorts and the top of the socks to complete the look. 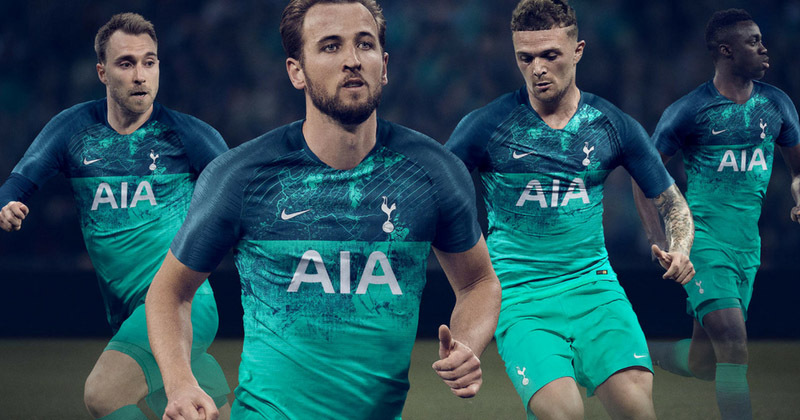 The sheer originality and inventiveness of this football kits stands in stark contrast to Spurs’ fairly bland home and away kits; and fans will be delighted to hear it’s set to be worn throughout this season’s Champions League campaign. So, let’s hope we’ll see Kane and co. showing it off at the Nou Camp at some point! All of the new Tottenham football kits are available right now on FOOTY.COM- and you can compare prices to make sure you start the season with some extra change in your pocket.